Recently ranked in the Monocle Travel Top Fifty as the top “man who knows his way around a room”, John Morford is definitely a better person. 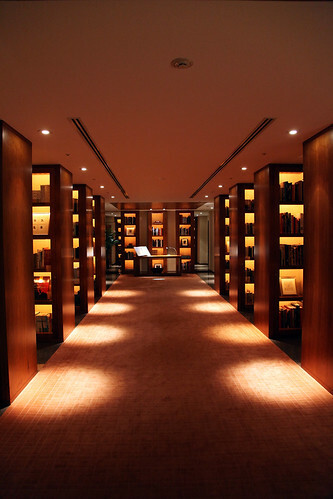 The man responsible for the designing the Park Hyatt Tokyo is nothing less than an demi-god of interior design. Just look at their library shown above. As a matter of fact, the only downfall we can find about the hotel is that their club sandwich doesn’t hold as high class as their Milan sibling. But Mr Morford can hardly be blamed for this. However another Morford-designed hotel – the Masuichi Kyakuden in Obuse – serves the best hotel breakfast, full stop. It’s a slight culinary mystery. He has a special approach to public spaces that “makes the guest feel they´re the star, not the interior”. As it should be. And this skill alone makes us title Mr Morford as a better person.